Adventures of a Dyspraxic Organised Scrapper: St Paddy's Day Fun in the park. St Paddy's Day Fun in the park. Last year Mr C was unable to attend his school's St Patrick's Day activities and asked if we could do something this year so I picked out a few simple things to do with the Mr C and Mr E this year. While making plans and searching Pinterest for ideas I realised there may be other Homeschooling or Distance Ed families who would like to do something for St Patrick's Day and that it would be a great way for the kids to socialise with other kids who love St Paddy's activities. 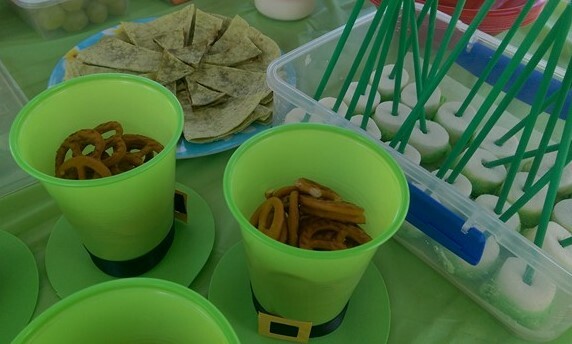 So I decided to ask in a local Homeschooling group if anyone would like to meet us at the park for a simple Leprechaun Treasure Hunt and a few fun St Paddy's themed foods. I was excited when a few families wanted to join us. My dilemma was the lack of supplies available locally, it is usually pretty limited but this year was more limited then usual, Pinterest saved my day, I was limited on time for creating and suitable supplies but thanks to Pinterest I was able to find some quick and easy projects I could do or could adapt to suit my needs. 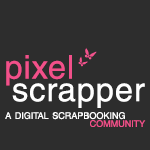 I downloaded this free and very cute Lucky Banner to make creating my banner a bit easier as my time available for die cutting was limited. 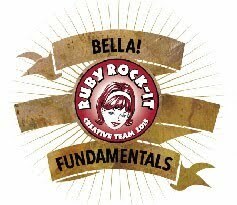 A post detailing how I created the rest of this banner will be up on Tuesday. Mr E enjoyed painting sanitised toilet rolls for this cute Upcycled Shamrock Garland. Mr C enjoyed painting a cheap container and adding a black ribbon and yellow cardstock buckle to hold chocolate coins for our Leprechaun Treasure Hunt. For the clues I used this great Rainbow of Shamrocks set of clues. I was inspired by these cute Leprechaun Hat paper cups, however I couldn't get green paper cups so used recyclable green plastic cups. 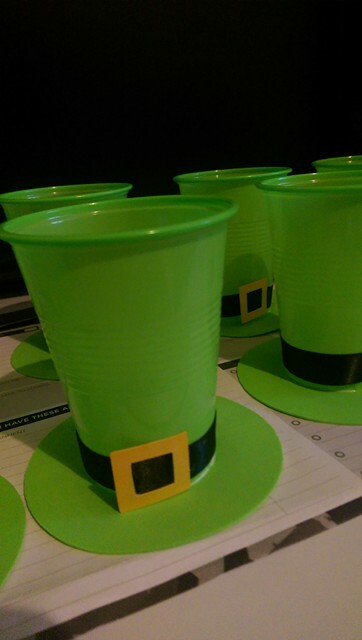 I created a cut file of hollow squares to cut all the buckles for the cups, the container for the treasure hunt and our Pringles can Leprechaun attempt. This saved me a lot of time. I thought these Yarn Wrapped Leprechaun Hats would be a fun activity for the kids to do, however the kids wound up mainly playing on the park equipment so I have saved the supplies to make a banner with the boys next year. 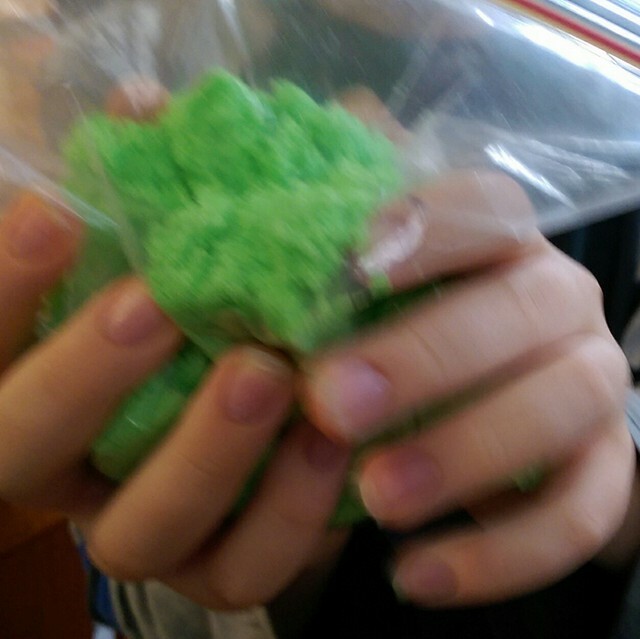 Mr E loved helping make coloured green sugar for our marshmallow pops, you can get a recipe for Coloured Sugar from McCormick. 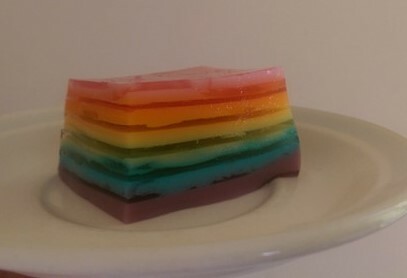 I made Rainbow Jelly and after that experience have sworn I will never do it again, but given how much Mr E loves it I might have to have one more try next year. I also tried making Rainbow Water and Rainbow Bars, which were a hit though due to having to use pink marshmallows my rainbow bars weren't very rainbow. And due to the warmth here at the moment the rainbow ice cubes were melting fast so once I finished pouring the water into a glass it was not rainbow water but a funny brown colour. Green pineapple juice. Add a glass of green cordial to a bottle of pinapple juice, it tastes nice and is a fun shade of green, though I forgot to take it to the park. Green marshmallow pops, I melted white chocolate and the boys had fun dipping white marshmallows into it and then into the green sugar Mr E made, they stood them a sheet of baking paper in a container to set in the fridge. I used the left over green sugar that hadn't gone into the bowl for the marshmallow pops to coat some green grapes and created leprechaun grapes which were inspired by Leprechaun Candy though I was out of green jell chrystals so the sugar made a good substitute. The last of the melted chocolate and the green sugar that had had the marshmallow pops dipped into it, I immediately mixed them together and set in the freezer to make green chocolate bark. One of the other Mums (Amy) helped me set up on the day and brought some green cordial (a life saver when I forgot the juice), green chips, some green fruit and veggie sticks (Mr E loves capsicum so he was really happy about that). And another Mum brought chips, so we had a lovely table full of goodies to eat. The boys had a lot of fun making new friends and eating fun food.